Friuli Venezia Giulia has ancient roots when it comes to food, with some practices stretching back over 2,000 years. We take a look at some unmissable highlights of the region’s gastronomy. One of Italy’s newest regions, Friuli Venezia Giulia is a bit of an anomaly in our tour around the country. Though Friuli is technically Italian, the region has only been part of Italy since 1954 and as a result, many Italians don’t view the region as being truly Italian at all. In reality, that’s not all that surprising. The region sits in the geographical centre of Europe and has switched hands between countless empires and republics. Today, Friuli is a multicultural melting pot of Slavs, Austrians and Italians – the people of Friuli speak multiple languages, ranging from Venetian dialects in the south, Slovene and Bavarian in the north and the native Friulian dialect (as well as the official language of Italian). The food is just as diverse – Friulian cuisine is a long way from what we think of as ‘Italian’ food. The wide variety of cultures that have passed through the province have all left their mark in various ways, making Friuli very much a law unto itself when it comes to cuisine. Heavily influenced by nearby Austria, Slovenia and Croatia, Friuli is a fascinating confluence of culinary scenes – goulash is served with polenta, gnocchi are made with cherries and prunes and the most popular regional dish is jota – a stew made with sauerkraut, beans, potatoes and bacon. This is not Italy as we know it, but it’s superb all the same. Friuli might be new to Italy, but food here has its own ancient roots. There are special, nationally recognised cheeses, meats, olive oils and more than have been made in Friuli Venezia Giulia for anywhere between 500 and over 2,000 years, with history that stretches way back to the pre-Roman Phoenician civilisation, who once planted olive trees along the Adriatic coast. As a result, the EU has granted protected status to some of the region's most iconic products. Here are five PDO- or DOP-protected foods that you should keep an eye out for on your next trip. Often considered to be the best prosciutto in Italy, this ham has been made in the small town of San Daniele for at least 500 years now and is still produced to the exact same methods as it was all those years ago. 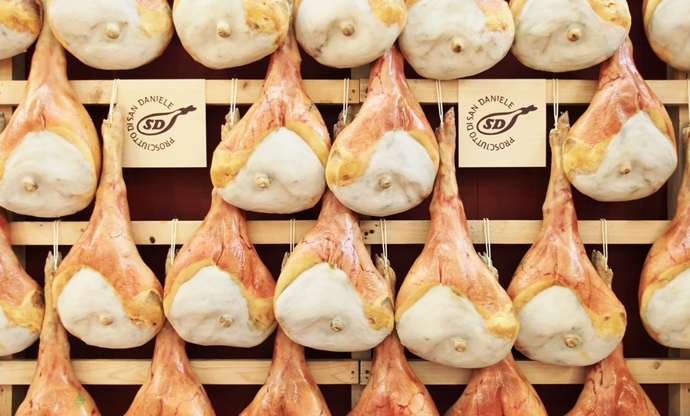 The beauty of Prosciutto di San Daniele DOP is all in the simplicity and the raw product. The ham is a rudimentary combination of pork leg and salt, and the pigs reared in San Daniele are free to roam in the foothills of the Dolomites, feeding on a diet of whey and high-quality grain, which gives the final cured ham a beautiful sweet flavour. 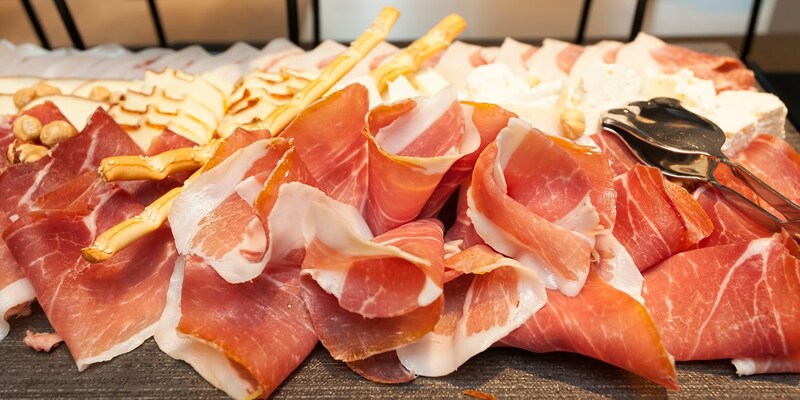 Parma ham is often regarded as the finest cured meat in Italy outside the country, but many Italians regard prosciutto from San Daniele to be the very best. 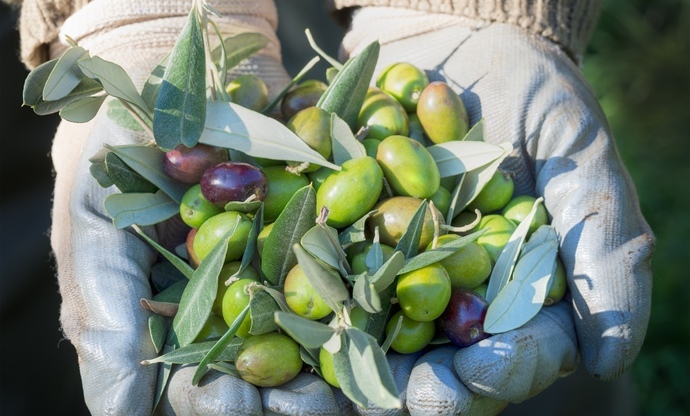 Olives have been grown around Trieste for well over 2,000 years – the Phoenicians planted olive groves all along the Friulian coast, long before the Romans showed up and started producing oil en masse. Olive growing and oil pressing is a significant part of the agricultural trade in Trieste today, though limited space means that growers can only produce a small amount of oil every year. Tergeste DOP oil has an intense fruity fragrance, but the flavour is spicy and bitter, making it a great finishing oil for simple dishes. This ancient alpine cheese is revered all over Italy as a particularly versatile cooking cheese. Montasio was first made by monks at Moggio Udinese Abbey in the thirteenth century as a fresh cheese, but these days it is made all over the Julian Alps. 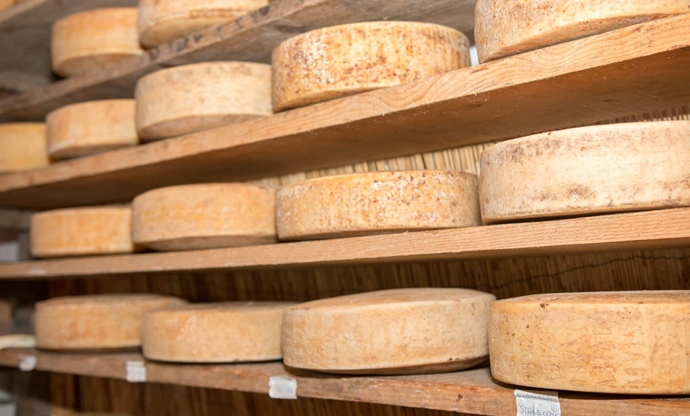 Though the methods remain the same and are protected by the DOP designation, Montasio can be matured to varying degrees – a minimum maturation period of sixty days gives you smooth, creamy Montasio Fresco, and the cheese gets more crumbly and intense the longer it ages, up to a maximum of eighteen months. It's often fried in slices to make ‘frico’ – a delicious Friulian snack. The first time you see brovada in Friuli Venezia Giulia, you might well mistake it for sauerkraut – although the two are different, it’s fairly clear that brovada has its roots over the border in Austria. Whereas sauerkraut uses cabbage, brovada takes thin slices of turnip (or whole vegetables, as above) and macerates them in red wine vinegar and grape must, before cooking it all down with oil, bay leaves and a nice chunk of fatty pork. The result is so delicious that brovada has been DOP-protected since 2011. 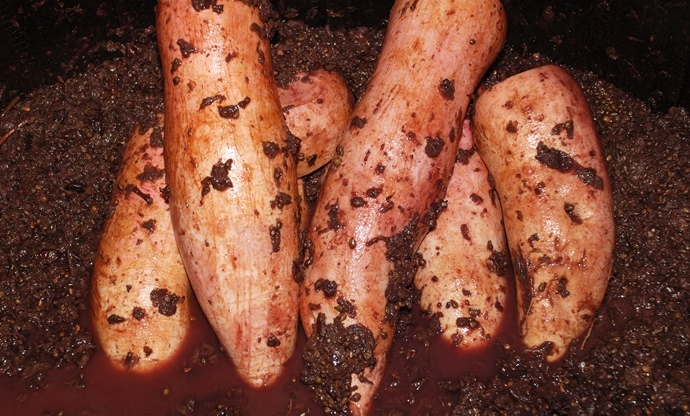 Like sauerkraut, the final result is very strong but definitely worth trying – brovada is often served with a Friulian snout sausage called muset – similar to cotechino – and the sharp, fermented turnip is exactly what’s needed to cut through the fatty meat. 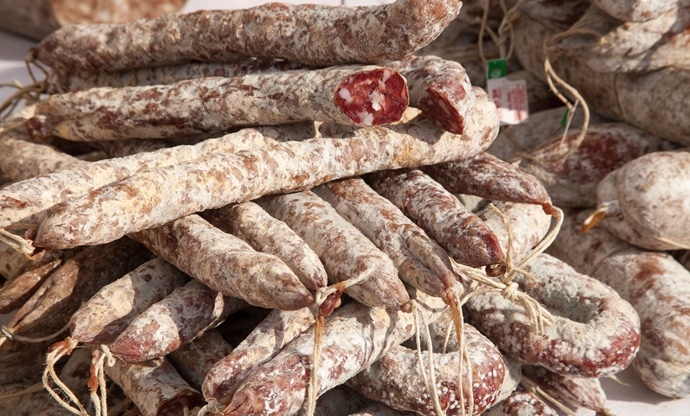 These little salumi supposedly appeared around the sixteenth century as a way to provide soldiers and hunters – hence the name ‘alla cacciatora’ – with long-lasting rations, but they have since grown in popularity and importance, receiving DOP designation in 2001. The salamini are made from pork shoulder, neck and bacon – the cuts are trimmed of excess fat, seasoned with salt, pepper and garlic and then stuffed into a sausage casing. After just ten days of maturing, they’re ready to eat – salamini alla cacciatora are delicious as a simple snack, but equally tasty in salads and with fresh bread. They're not only made in Friuli – the DOP regulations state they can come from many different regions too, including Tuscany, Veneto, Lombardy, Piedmont and Molise.